Involving live music performance or other live elements. 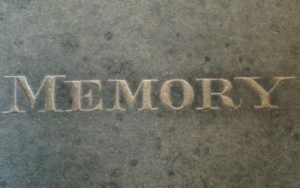 Composed in 1991, Memory places is a piece I wrote as a graduate student at Princeton, almost as an ‘escape’ from being immersed in the world of computer music and sound manipulation. 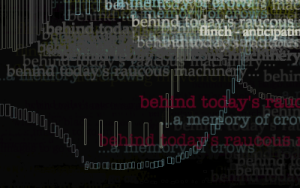 It draws its inspiration from the Renaissance notion of the ‘Theatre of Memory’ (I had recently read Frances Yates’ extraordinary book on the subject), and the fact that instrumental music – played by live, human performers – is a remembering of sound quite unlike that of recorded sound, entailing a building of sonic ‘edifices’ before our very ears. 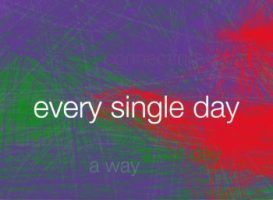 While I was probably dwelling overly on ontological niceties, I was also enjoying the experience of writing for people, to play. 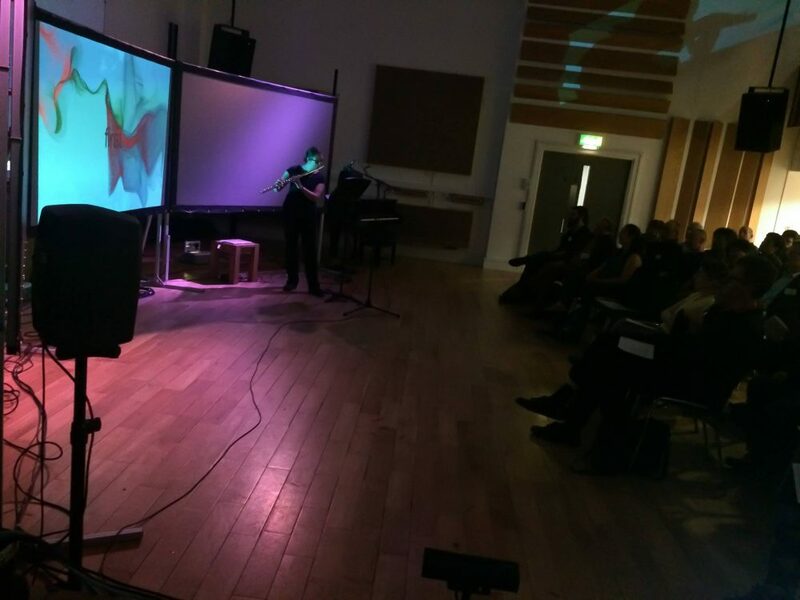 Aspects of these concerns are built into the way the piece is composed, with performers responding to each others’ materials and ‘picking up’ aural objects for quasi-improvisation. 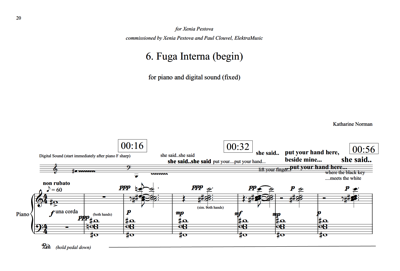 It was the last piece I wrote in this vein, but I was quite pleased with the result – and this wonderful performance by the Princeton New Music Ensemble.The piece has been performed in both the UK and USA, and reached the finals of the ALEA II International Composition Competition, receiving a performance conducted by Gunther Schuller. 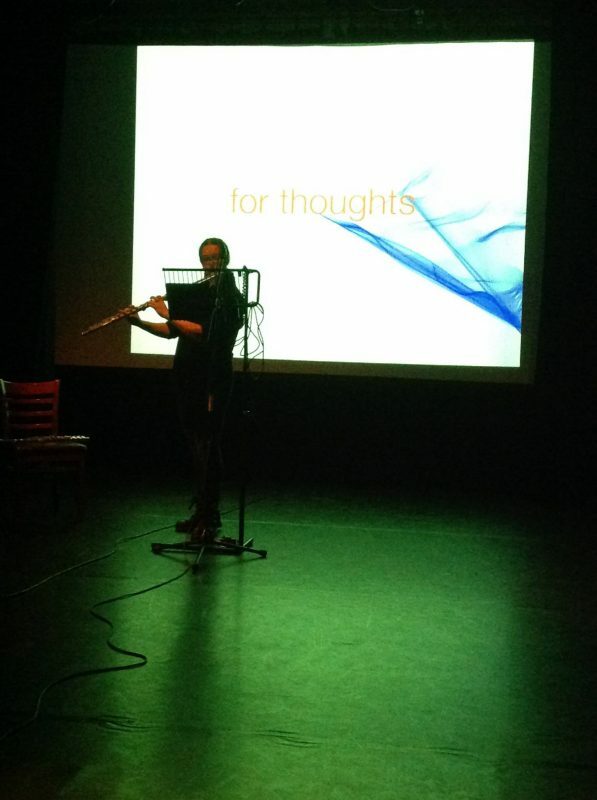 Recording: Princeton New Music Ensemble, live performance. Please contact me if you’d like a score. The pieces can be performed as a set (keeping the order below) or individually/in pairs, as the pianist prefers. 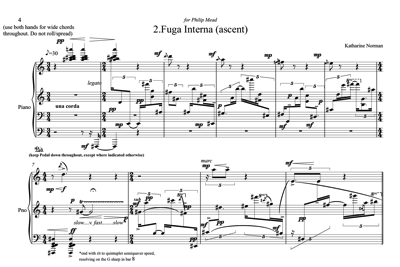 Commissioned for Stephen Gutman, with funds provided by a Holst Award. Duration approx. 16 minutes (whole set). The four pieces which make up Transparent things each explore notions of transparency: the idea of looking through a surface in search of something less tangible, and more resonant. 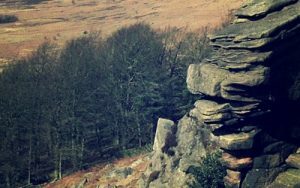 They were inspired by both the above quotation and my long walks on and around Stanage Edge, in the Peak District, Derbyshire (UK). 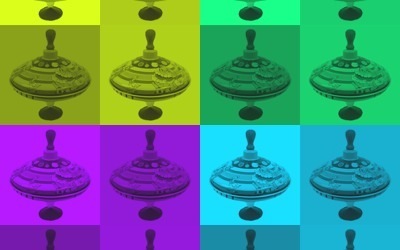 Although the individual pieces came from memories of specific times and places, they are not overtly programmatic. 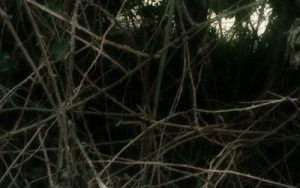 Perhaps I was seeking a musical analogy for that growing clarity of mind than can arise during a solitary walk, when there is time to reflect, to remember and to get thoughts and dreams into focus. 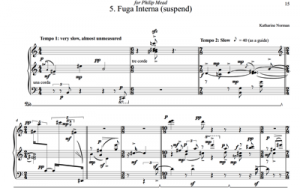 Fuga Interna (begin) is the fifth piece in a series for piano, Fuga Interna, and was first performed by Philip Mead. 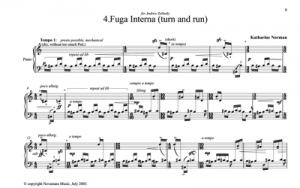 All the works in the Fuga Interna series are inspired by my experience of playing Bach’s Fugue in B minor, from Book 1 of the Well-Tempered Clavier. 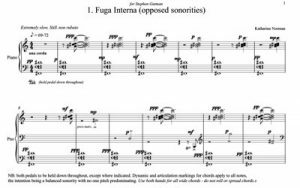 Like all the pieces in the series, this Fuga Interna (begin includes brief references to any that came before, though it is not necessary to know this to appreciate the work, nor to perform the works in order. This Bach fugue is a constant companion in all my compositional endeavours, and has been for some thirty years. 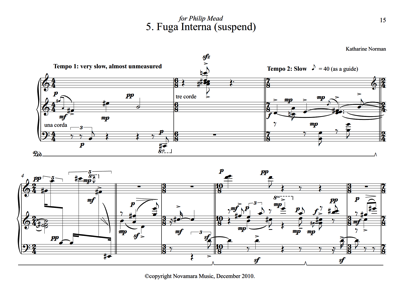 Fuga Interna (ascent), composed in 2000 for performance by Philip Mead at the British Music Information Centre, London as part of a concert of my solo piano work. This is one in a continuing series of relatively short works for piano, , started in 1997 (and very much still in progress). 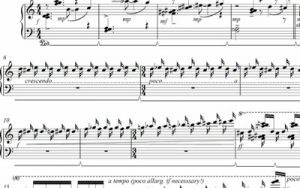 Each contains brief ‘quotes’ from those that preceded it, but the pieces can be performed in any order and combination, as the performer prefers. All are inspired by the pianist for whom I wrote the particular piece, and also from my experience of playing Bach’s Fugue in B minor, Book 1 of the Well-Tempered Clavier, a work that’s a constant companion in many of my compositional endeavours. As I play it at the piano, it offers a place to meditate on performing and listening. 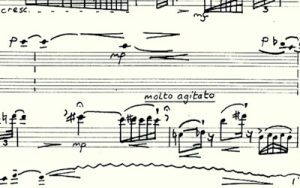 The way in which the pieces refer to the Bach are often quite rigorous and defined, although deliberately not audibly apparent. No recording just yet for this one yet, sorry. This is one of a continuing series of relatively short works for piano, started in 1997 (and very much still in progress). 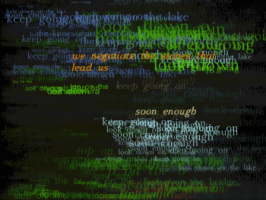 Each contains brief ‘quotes’ from those that preceded it, but the pieces can be performed in any order and combination, as the performer prefers. 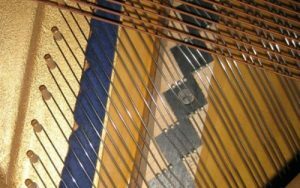 All are inspired by the pianist for whom I wrote the particular piece, and from my experience of playing Bach’s Fugue in B minor, from Book 1 of the Well-Tempered Clavier, a work that’s a constant companion in many of my compositional endeavours. 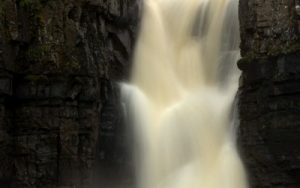 As I play it at the piano, it offers a place to meditate on performing and listening listening. 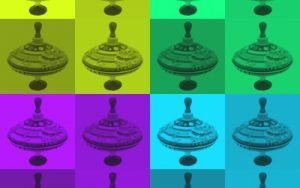 The way in which the Bach piece is referred to is often inaudible, or not clear, but the methods are often quite rigorous, even if the connections are rarely overtly discernible. 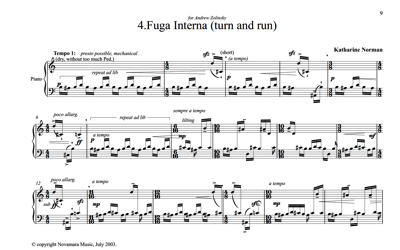 Fuga Interna (turn and run) was originally composed for Andrew Zolinsky, and obsesses on a particular figure that is characterized by a final ‘turn’. 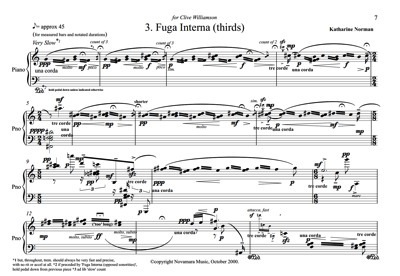 Fuga Interna (thirds), composed in 2000 for performance by Clive Williamson at The Warehouse, London, as part of the Cutting Edge series. 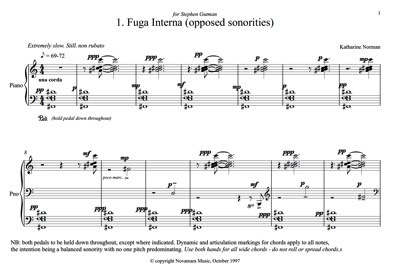 Fuga Interna (opposed sonorities), composed for performance by Stephen Gutman at the Purcell Room, London as part of The Debussy Studies Project, which I helped to organise. 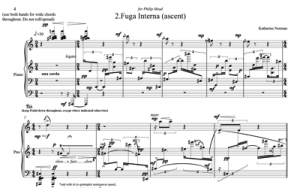 This is the first of a continuing series of relatively short works for piano. 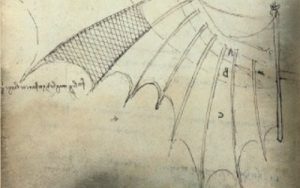 Each contains brief ‘quotes’ from those that preceded it, but the pieces can be performed in any order and combination, as the performer prefers. 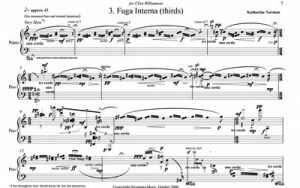 All are inspired by the pianist for whom I wrote the particular piece, and also from my experience of playing Bach’s Fugue in B minor, Book 1 of the Well-Tempered Clavier, a work that’s a constant companion in many of my compositional endeavours. As I play it at the piano, it offers a place to meditate on performing and listening. 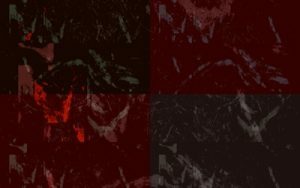 The ways in which the pieces refer to the Bach are often quite rigorous and defined, although not necessarily audibly apparent.